Hershey Felder: Beethoven. Photo Credit: Christopher Ash. 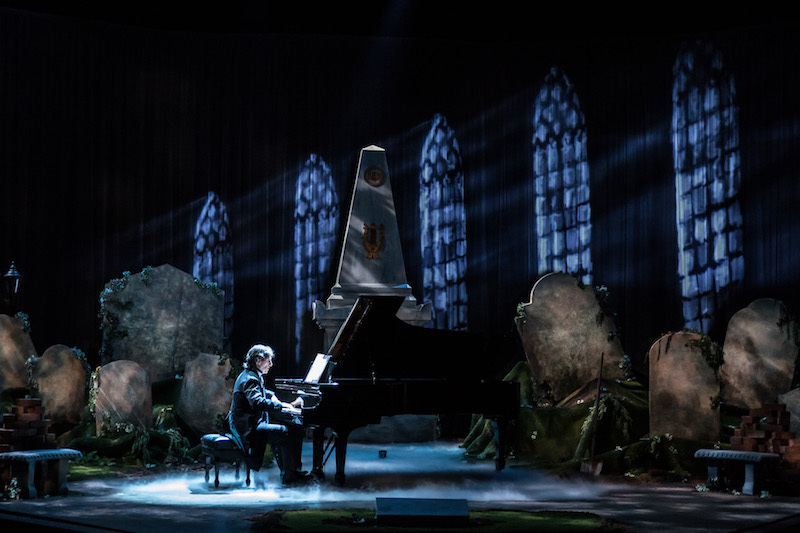 For nearly twenty years, Hershey Felder has brought famous composers to life on the stage. From his 2000 production George Gershwin Alone to 2017’s Our Great Tchaikovsky, Felder’s one-man shows depict these composer’s stories through music and monologue. His only co-star is the piano he plays as he takes on the role of one of history’s greats, illuminating the drama and inspiration behind the music. Felder returns to Los Angeles on July 26 with a reworked production of his 2008 show Beethoven at the Wallis Annenberg Center for the Performing Arts. A Montreal native, Felder first came to the United States as a student and soon began developing theater across the country. His love of classical music goes back to his childhood. “The first time I heard classical music, I was three or four years old and I was totally flabbergasted. I thought, okay, this is what I want to do,” he tells We Like L.A.. It was around this time that he also developed a passion for storytelling. When Felder tours, he usually only stages a single show at each stop, but he’s constantly got the other composers traveling with him. When he’s performing one show, he’s practicing the next. A few weeks before coming to L.A. to do Beethoven, he was performing as Irving Berlin in Cleveland and days before that he was in Chicago doing Tchaikovsky. He says he doesn’t have time to play tourist while on tour, his days are a loop of rehearse, write, perform, sleep, repeat. How does he keep all these composers straight? “I look down at the costume. Ahh, Thursday, must be Berlin,” he kids. Felder feels a special connection to Los Angeles’ theater scene because this is where he became a star. “I made my debut there with these pieces, the Gershwin was created there on Sunset Boulevard at the Tiffany Theater.” He thinks highly of L.A. theater, saying that it’s just as good here as anywhere else. Next year, he’ll premier A Paris Love Story about the life and music of Claude Debussy at Theater Works Silicon Valley in Palo Alto. He’ll then stage it at the Wallis in May. He says this will be the last new show in the “Great Composers Series,” but he’s still planning to write more pieces. For instance, he has an idea for a one woman show for a soprano about Giacomo Puccini and the female characters he created. 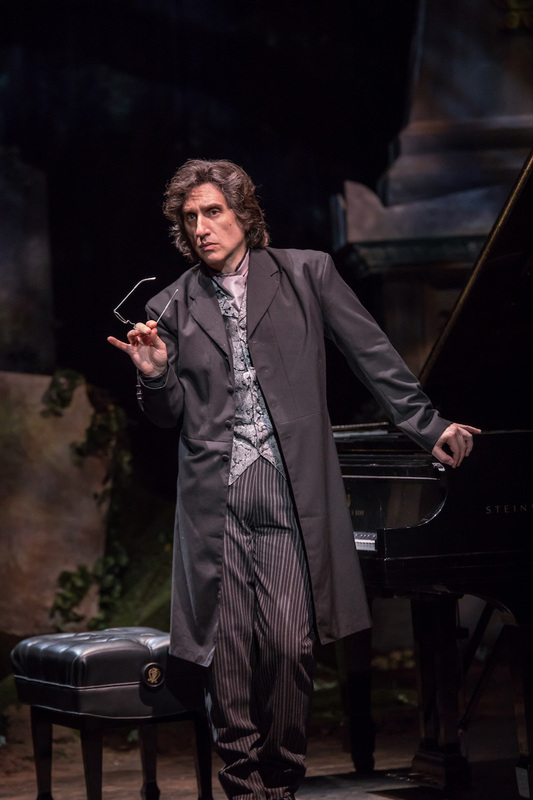 Hershey Felder: Beethoven will run from July 26 to August 12 at the Wallis Annenberg Center for the Performing Arts. Tickets are available here.